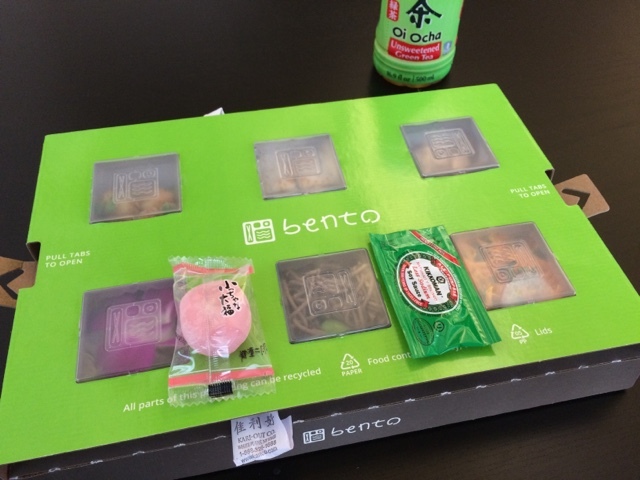 I got a chance to try Bento (or Bento Now), a food delivery service offering... you got that right, a bento box! They've started delivering dinner for quite some time but launched their lunch service a week ago. 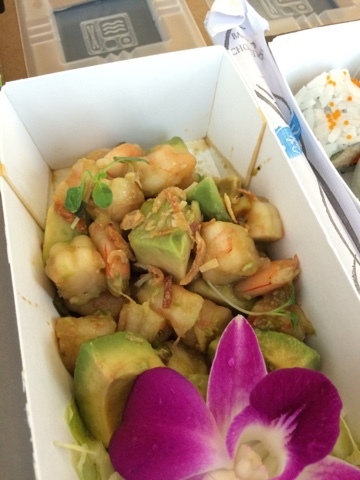 Bento is entering a competitive lunch market, especially in San Francisco's Financial District, where I was at, but obviously differentiates themselves from a well thought-out brand and packaging, and flavorful entrees, such as the shrimp poke with avocados, and 4 side dishes. However compared to other online delivery services, the pick-up system was less seamless (waited for a minute for the driver despite getting a text that my food had arrived), the food covers cannot be tightly closed so I was forced to have no leftovers, and everything was cold. Would I order from Bento again? Probably, if I had no time to grab my own lunch/dinner and in the mood for non-hot, Japanese items. I really did enjoy their intriguing take on carrot salad and California roll. 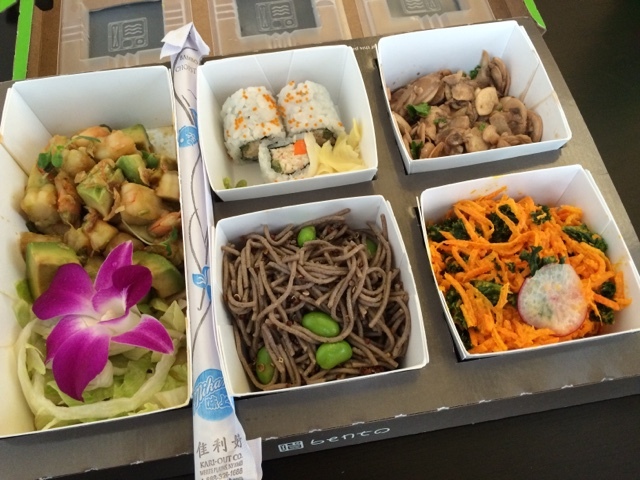 Try a Bento with $7 off using this code: Bento96373. Cute box I would say. My lunch is here. 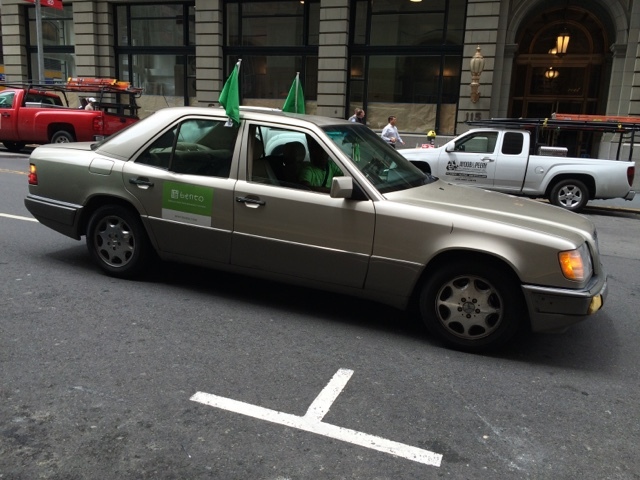 The car is a bit out-of-place in the Fidi. No offense to the friendly driver. Just sayin'. Enticing setup. A Bento would cost $15, including tip and tax. 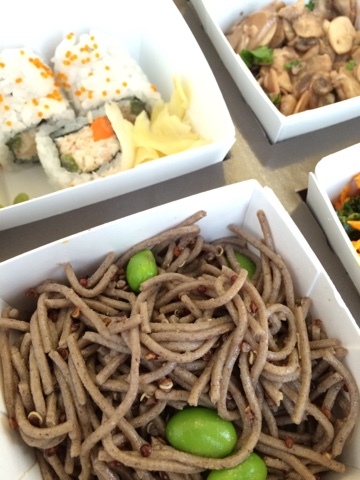 Wheat soba noodle was my least favorite. Can you give me more quinoa please? 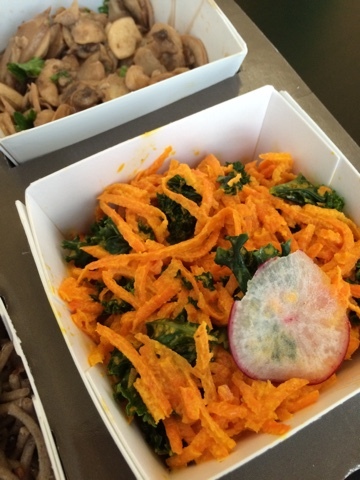 Good kale and carrot salad, and a side of mushrooms.